The Mannum Dock Museum of River History is managed by the Mannum Dock Museum Board, a committee of the Mid Murray Council in accordance with Section 41 of the Local Government Act 1999. The Mannum Dock Museum also has approximately 130 volunteers who play an integral role in the day to day operations of the Museum, PS Marion and Visitor Information Centre. Three committees exist under the auspices of the Board, being: Maritime Operations Group; Museum Research Group; and Museum Dock Information Centre Committee. Following on from the recommissioning of the PS Marion, the Mannum Dock Museum as you see it today started to take shape in the old Pit Stop Garage land site adjacent to the Randell Dry Dock. 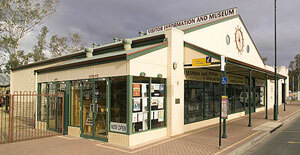 The establishment of the new look Mannum Visitor Information Centre took place in 2000 which moved from a small transportable hut adjacent to Arnold Park . 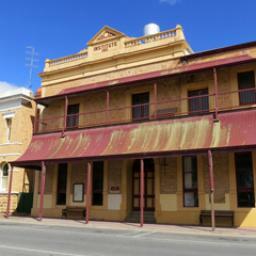 The Mannum Dock Museum complex and main chamber was introduced and the new look attraction was officially opened 2001. Over the years, the Museum has acquired a large variety of maritime artefacts, particularly those related to the history of Murray River navigation. 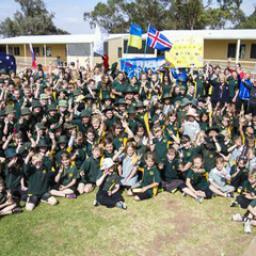 The Museum complex was officially opened on 29 April 2001 and since the opening the Museum has expanded its exhibits providing an essential cultural foundation for the community of Mannum and an iconic visitor attraction for both the Mid Murray Council and Murray Lakes and Coorong regions. Paddle Steamer Marion - built in 1897, the fully restored and operating paddle steamer –one of the last steam driven, wood fired, original, overnight passenger carrying side wheeler in the world. It is also significant in its technical features that represent the evolution and adaptation of river steamers to changing conditions of the river system. Paddle Steamer Mayflower - currently under restoration to 1913 era. 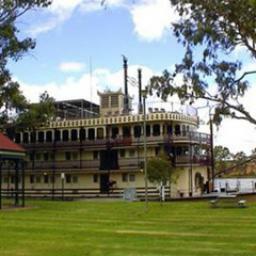 The PS Mayflower was built in Moama on the Murray River in NSW in 1884 opposite Echuca by Wilson & Burkett for Daniel Alexander and is the oldest original paddle steamer in South Australia. The Mannum Dock Museum purchased the Mayflower in 2014 through a generous donation by Robert O'Callaghan and Pam O'Donnell. Many identities have owned the Mayflower including the infamous Black Alexander, the Creager fishing family, Alby Pointon of Mildura and Bryce Douglas. The PS Mayflower is set for recomissioning at the All Steamed Up event in Mannum on the 19th November 2016. PS Mary Ann boiler - the first paddle steamer in Australia and launched in Mannum in 1853 by W.Randell. 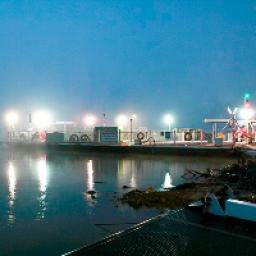 Randell Dry Dock - the heritage listed graving dock, the only one on the Murray Darling river system. Installed by W.Randell to service his growing fleet of steamers. 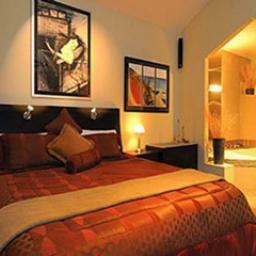 Is one of only a few remaining in the world. Key Beam Engine - now fully restored and operating, the engine was used to pump water from the dock (the only working one of its type in Australia). Clayton & Shuttleworth Steam Engine - one of the oldest pieces of paddle boat machinery on the River Murray and fired the PS Murrumbidgee (only 12 years younger than the Mary Ann's boiler). Geological display including some rare fossils of the area. 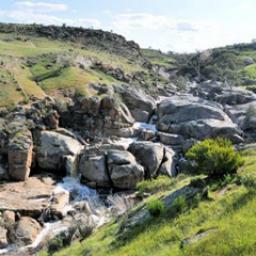 An extensive collection of photographs and documents relating to the rich river history of the Murray, including John Weaver, Rod Williams and Arnold Collections. "All Steamed Up" Interactive display. Collection of small boats & model paddle steamers. Also woodworking and boat building tools. Shearer stripper, made by Shearers Agricultural at Mannum in the early 1900s. Wool press from a local property & historic milling and baking equipment. Touring art exhibitions for organisations such as Country Arts SA & the South Australian Living Artists Association (SALA). 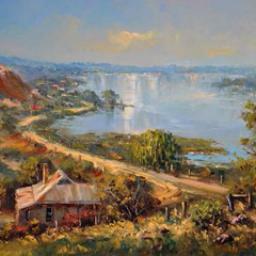 Exhibitions showcasing a range of maritime artefacts & images associated with our permanent Murray River collection. Operating black smith shop and Key Beam Steam Engine during Mannum Museum Steam Days. 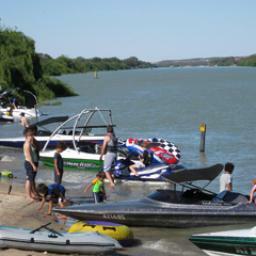 Provision of scheduled Murray River cruises to the general public ranging from short day cruises and a range of overnight cruises incorporating off shore activities providing visitors with a unique River Murray experience. The nationally acclaimed Women of the River Exhibition produced to highlight the achievements of women from the mid 1800s to today featuring Margaret Court from Albury NSW, Ruby Hunter from Paringa SA, The Chaffey women from Mildura VIC, Elyne Mitchell from Corryong and Pearl Wallace the First Women to gain a Master Mariners certificate in Australia to name a few. The exhibition was produced by the Museum group at the Mannum Dock Museum and is currently on show in the Arnold Gallery and it is hoped will tour the Murray Darling Basin over the next 3 years subject to funding. 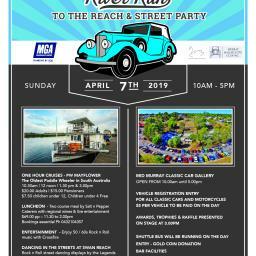 The biannual All Steamed Up event incorporating the "Mannum Freshwater Classic" and Concourse D'Elegance. Held in November, is a celebration of the largest group of working blacksmiths in South Australia, collection of classic and wooden boats and a display of working and static engines.